In this journal self-study, which includes articles from a Language, Speech, and Hearing Services in Schools clinical forum, authors address the problem of declining reading comprehension in the United States. The lead article argues that reading comprehension is complex and multidimensional, varying based on reader ability, text, and task. 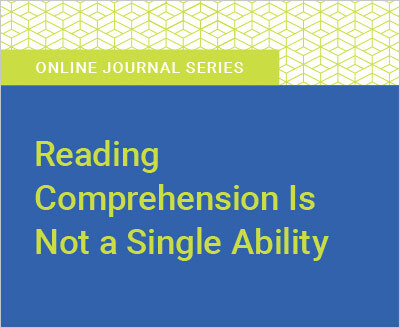 The remaining articles focus on the implications of this view, including ideas related to assessment, intervention, and the critical role SLPs play in evaluating and addressing reading comprehension difficulties.